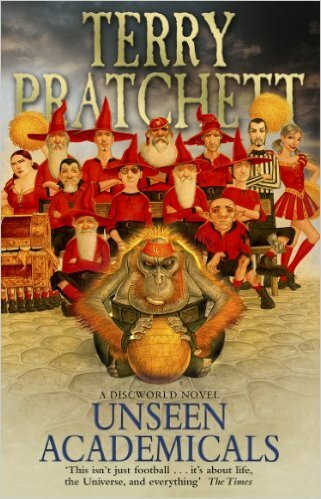 The Rincewind Arc: This is where it all began. The first two books are written in quite a different style, and it’s not for everyone. However for those that stick it out you will uncover a highly satirical version of London from both the eyes of a tourist and a local. In the beginning there was…a turtle. 'What shall we do?' said Twoflower. 'Panic?' 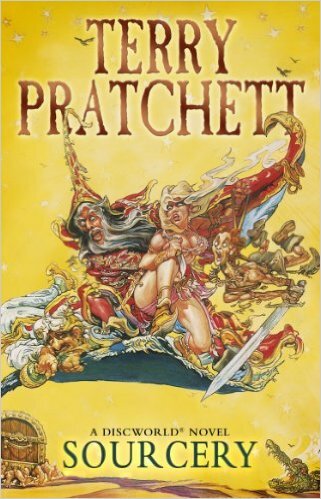 said Rincewind hopefully. He always held that panic was the best means of survival. All this books and stuff, that isn't what it should all be about. What we need is real wizardry. There was an eighth son of an eighth son. He was, quite naturally, a wizard. And there it should have ended. However (for reasons we'd better not go into), he had seven sons. And then he had an eighth son... a wizard squared...a source of magic...a Sourcerer. 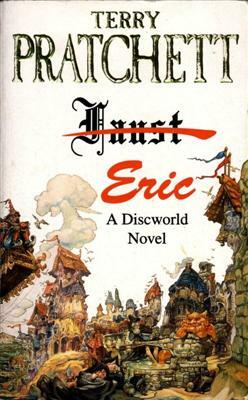 Eric is the Discworld's only demonology hacker. The trouble is, he's not very good at it. All he wants is the usual three wishes: to be immortal, rule the world and have the most beautiful woman fall madly in love with him. The usual stuff. 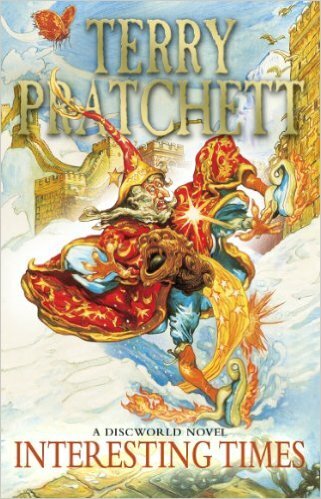 But what he gets is Rincewind, the Disc's most incompetent wizard, and Rincewind's Luggage (the world's most dangerous travel accessory) into the bargain. 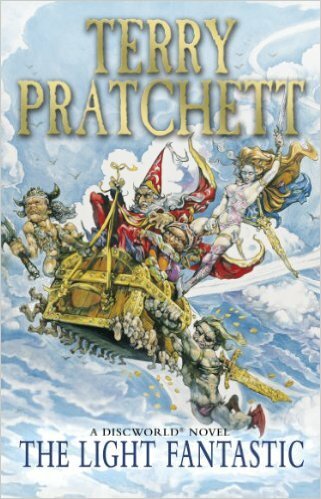 Terry Pratchett's hilarious take on the Faust legend stars many of the Discworld's most popular characters in an outrageous adventure that will leave Eric wishing once more - this time, quite fervently, that he'd never been born. Who is this hero striding across the red desert? Sheep shearer, beer drinker, bush ranger, and someone who'll even eat a Meat Pie Floater when he's sober. 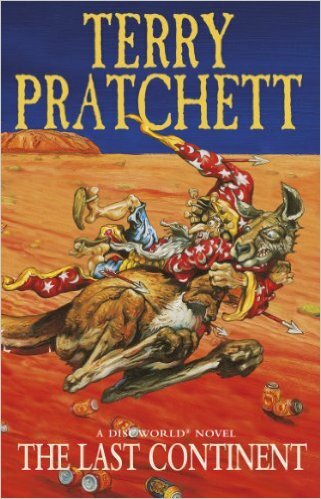 In fact, it's Rincewind, a wizard so inept he can't even spell wizard. He's the only hero left. He's been a legend in his own lifetime. He can remember the great days of high adventure. He can remember when people didn't tell you off for killing dragons. But he can't always remember, these days, where he put his teeth. Now, Cohen the Barbarian is going on one final quest. 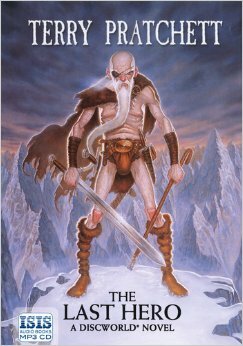 He's going to climb the highest mountain in the Discworld and meet his gods. He doesn't like the way they let men grow old and die. The last hero in the world is going to return what the first hero stole. With a vengeance. That'll mean the end of world, if no one stops him in time. Someone is going to try. So who knows who the last hero really is? 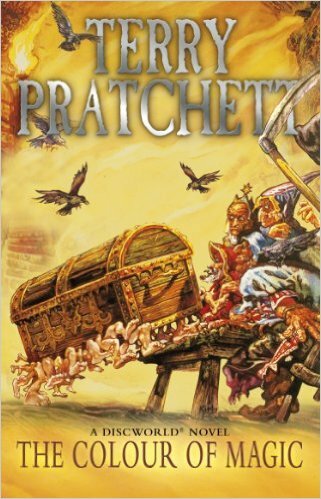 Football has come to the ancient city of Ankh-Morpork. And now, the wizards of Unseen University must win a football match, without using magic, so they're in the mood for trying everything else. This is not going to be a gentleman’s game. The prospect of the Big Match draws in a street urchin with a wonderful talent for kicking a tin can, a maker of jolly good pies, a dim but beautiful young woman, who might just turn out to be the greatest fashion model there has ever been, and the mysterious Mr Nutt (and no one knows anything much about Mr Nutt, not even Mr Nutt). As the match approaches, four lives are entangled and changed for ever. Because the thing about football - the important thing about football - is that it is not just about football. Here we go! Here we go! Here we go!